In the old days, the XBox lifebar was my favorite. 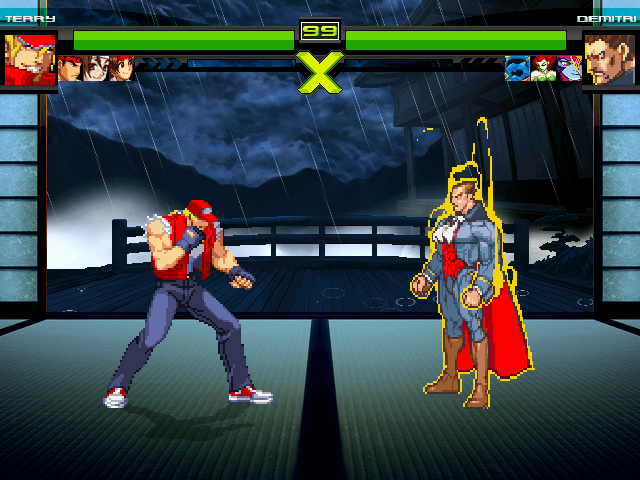 That's way before MUGEN 1.0 release. Since I was even more noob than I am currently, this lifebar was one of the reasons I continued to use Winmugen for a long time. The lifebar is beautiful and is a great addition to any build. Since in those almost 11 years it was released nobody decided to update it, here it is. 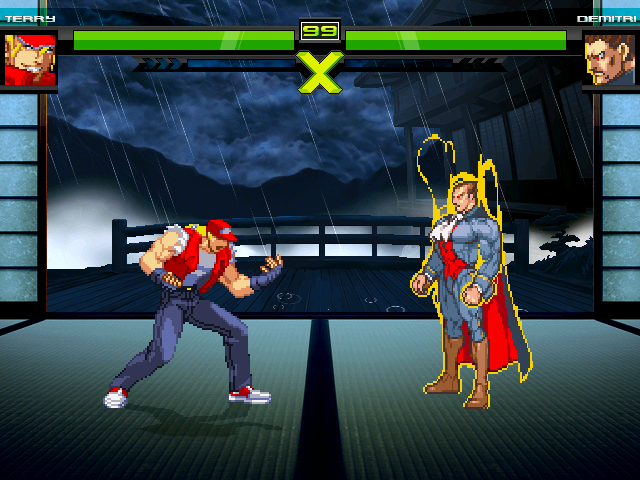 It is for MUGEN 1.0, but all lifebars for 1.0 is also compatible with 1.1. - Set the displayname to "~" (no quotes) for Ichigo Hollow. The name will be mirrored in "Bleach Dark Souls" from DS. 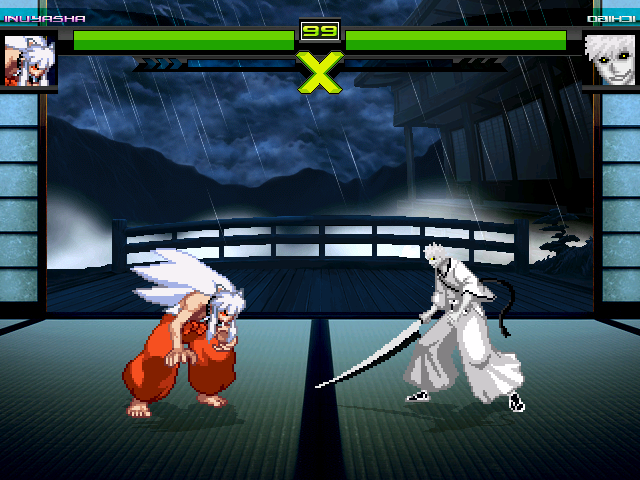 - Set the displayname to "^" (no quotes) for Inuyasha (Full Youkai). The name gets purple as in "Inuyasha: A Feudal Fairy Tale" from PS1. How did you get the font file to behave in that way, with the different colors and reversing characters if I may ask? Ah, this takes me waaaaaaay back. I bet many of our users don't even know there was a time when people actually ran linmugen in their OG Xboxs. IINM it wasn't actually possible to run this lifebar in a real Xbox since the resolution was locked to 320x240. Those entire names are single sprites (or more accurately, glyphs) mapped to specific characters. It's the same workaround used for stage previews on select screens. Well, Kamekaze, you know... It's the price you have to pay. Would it be for some project or just curiosity? DAMN. This takes me all the way back. Ah the good ol days, back when everybody and their brothers and sisters was making stuff. 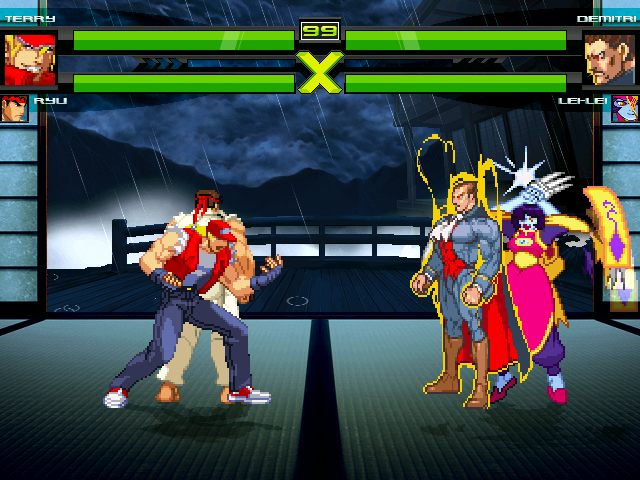 It slowed down a bit but MUGEN will always have content made for it. Super glad you brought this piece of history to modern times.